A Word to the Wise About Construction Defects - ABEX Affiliated Brokers Exchange Inc. Possibly no two words strike more fear in the hearts of architects, engineers and contractors than “construction defect.” A claim for a construction defect can cost astronomical amounts to correct and defend. Additionally, it can also damage their reputation and negatively impact their future opportunities for work. It’s enough to break a business. Today, their risk of becoming involved in a construction defect claim is greater than ever. New technology, materials and applications have changed the way commercial buildings, homes and condominiums are constructed. At the same time, new applications require new skills from contractors, who may overlook important requirements for installation or take shortcuts that cause devastating consequences. When problems occur, it’s hard to know the cause without investigation, and everyone on the project is forced to become involved. Often, whoever has the most money or the most to lose becomes the primary target for plaintiff lawyers. Essentially, you could be held responsible for others’ mistakes. Let’s consider two of the most costly examples of construction defect: EIFS and FRT plywood. Architects love using exterior insulation finishing systems (EIFS) in their design process. EIFS cladding systems resemble stucco, but are less costly to install and can be fashioned into a variety of architectural shapes, including soft curves and geometric designs. This unique flexibility makes EIFS treatments ideal for special elements such as porticos, archways and ornate overheads for windows, doors and decorative trim. As with any exterior cladding, water can enter behind or around the system. Early applications often lacked drainage features that are more commonly used today. With no place to go, constant exposure to moisture can cause wood to rot and can cause damage to other materials within the building or home. Moisture-related problems can lead to an avalanche of individual and class action lawsuits by consumers. For those using EIFS in their designs, strict adherence to guidelines for materials and methods of application is your best defence against a construction defect claim. Back in the early 1990s, flame resistant plywood (FRT) was touted as an alternative to fire walls in multi-unit buildings. It appeared to be a revolutionary product and was quickly adopted by architects and builders, especially in the Northeast. However, high temperatures in attics caused early and unexpected deterioration of the material. Suppliers went bankrupt, and builders were left to face clients with major defects in their buildings, condominiums and homes. For those using new building materials in their projects, it is important they do their research, examine their confidence in the manufacturer and the testing and consider their comfort level with the risk. Construction deficiencies are problems created by poor quality of workmanship. Under the standard commercial general liability (CGL) policy, an insurance company has a duty to defend insureds for construction defect claims if any damages are potentially covered under the policy. Coverage for construction defects only exists if there is an “occurrence” under the policy. If the court finds against the insured and they are a subcontractor, the policy will frequently pay for property damage caused by the occurrence. It does not, however, cover the costs to remedy the insured’s work—the faulty workmanship or material that led to the damage. In many cases, the cost to correct the construction defect will be greater than the actual property damages incurred. General contractors should keep in mind that the whole project is their work. 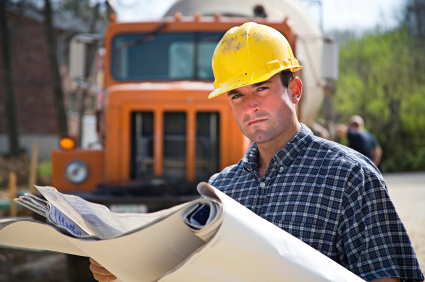 Many risks contractors, architects and engineers face are not typically covered by insurance. In addition to insurance, risk can be reduced in two ways. Some of the risk can be transferred to a responsible third party. General contractors transfer risk to the subcontractors they use on a construction project through indemnification and hold harmless agreements as well as additional insured requirements in their construction contracts. Indemnification and hold-harmless agreements are typically included in standard construction contracts. However, if the subcontractor lacks the financial resources to meet its obligations, the contractor still could be obligated for any construction defect claims. That’s why it is important for contractors to check the financials of their subcontractors and choose wisely. And never, under any circumstances, uninsured subcontractors should be used. They put contractors at great risk and could increase the cost of contractors’ own insurance. Whenever hiring subcontractors, contractor should have them add contractor’s business to their liability policy as an additional insured. The contractor will be protected by the subcontractor’s policy for work the subcontractor does for the contractor, up to the policy limits. It’s a good idea to require liability limits of at least $1 million on the subcontractor’s policy. Coverage should always be requested as for an additional insured on a primary basis. This way, the contractor can ensure that the subcontractor’s insurance responds first to a claim. (Contractor’s insurance becomes excess coverage and responds only if the judgment exceeds the subcontractor’s policy limits.) The contractor should be sure to specify the length of time they will be added to the policy for completed operations. Construction defects often come to light long after a job is completed. The contractor can verify coverage by requesting a copy of the certificate of insurance on an annual basis. The best way to avoid a construction defect claim is through quality construction. Work should only be performed with architects, engineers and contractors who have good reputations and track records of good performance. Work should be planned and performed in the correct sequence and with proper supervision. Any and all plan changes should be documented. Organized records are critical to the contractor’s defence. The legal landscape for the construction industry is complicated and always changing. In today’s legal climate, customers who are dissatisfied with work are increasingly resorting to litigation. The recommendations listed here are a starting point for understanding and avoiding construction defect claims. Gain professional guidance and recommendations by consulting your insurance broker and your attorney. This entry was posted in Construction Insurance and tagged builders risk, coc. Bookmark the permalink.